17th of November is a special day, the day when the largest innovation hub in CEE celebrates its Grand Opening! 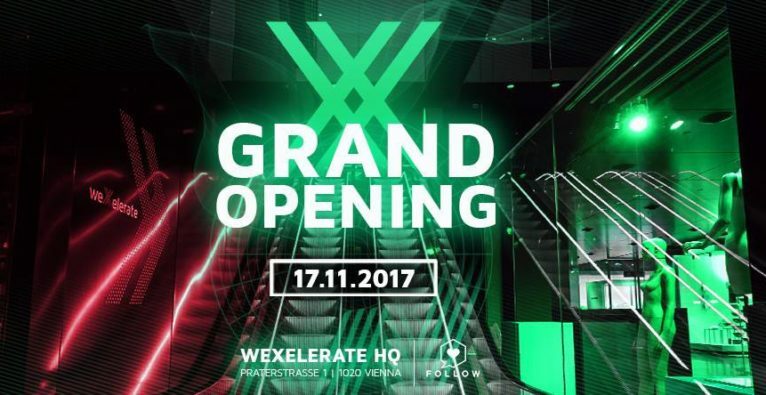 Being already a home for a number of startups and corporate partners, weXelerate finally opens its doors to the public, and invites the whole startup community of Austria and CEE to celebrate the Grand Opening together! Apart from the official opening agenda, our event promises to amaze with its one-of-a-kind keynote speaker as well as with unique networking, food-drinks and music experiences. *The entrance is possible with a registration ONLY. Tickets und Infos unter Grand Opening!